Just months after the release of the “Safari Animal”, the modern Nike Air VaporMax 2.0 now comes dress in the coveted Safari colour way, a direct translation of the 1987 classic runner designed by Tinker Hatfield. 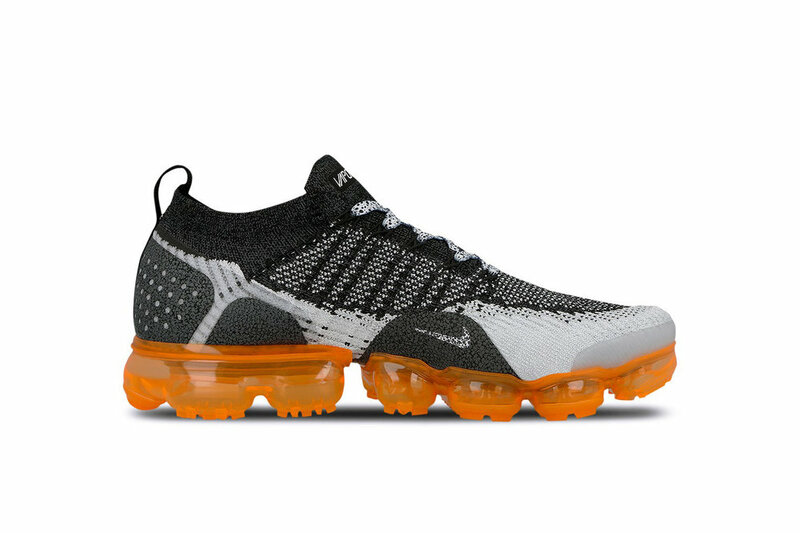 Sitting on top of the rather ostentatious total orange VaporMax sole is the shoes’ upper which is a blend of greys, whites, and black. The “Safari” print heal cup and classic Nike swoosh are details that stem from the original colorway.